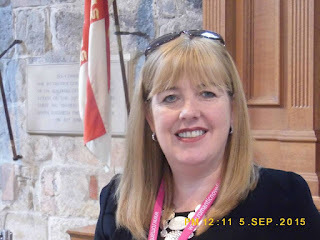 What a treat to have another lovely guest on my blog. This week it's Lynda Stacey's turn. Lynda is a member of the RNA and her debut novel, 'House of Secrets' has recently been published by Choc Lit. I thought it would be nice to catch up with her to ask a few questions about this exciting time in her writing career. What were you like at school? Did you always want to be a writer? Yes. I can't really ever remember not making up stories. I wrote as a child, and even asked my parents for a Lilliput Typewriter when I was 14. I made a big announcement that I was going to be an author and had every intention of doing just that. It only took me another 30 years, to actually get on with it. Do you have a special time of day when you like to write? I really like to write in a morning. I love to get up before the rest of the house (which means my husband) and I like to write while my mind is fresh and without influence of the rest of the day. I do however, due to working full time, end up writing in the evenings more often than not. Did being in the RNA New Writers’ Scheme help you on your road to publication? Most definitely, I'd advise everyone who ever decided that they'd like to write romance to join the RNA (Romantic Novelist Association) they have the best support system that I've ever known. The moment you join, you feel as though you've suddenly inherited around 250 siblings, all of whom want to cheer you on when things are going well and kick you up the backside when you need it. I'd honestly say that if I hadn't joined the NWS, I'd probably still be dreaming of becoming an author, and not doing anything about it. Also, the annual critique service is invaluable. It gives you the mind-set to write and submit… oh… and to wait for the response. 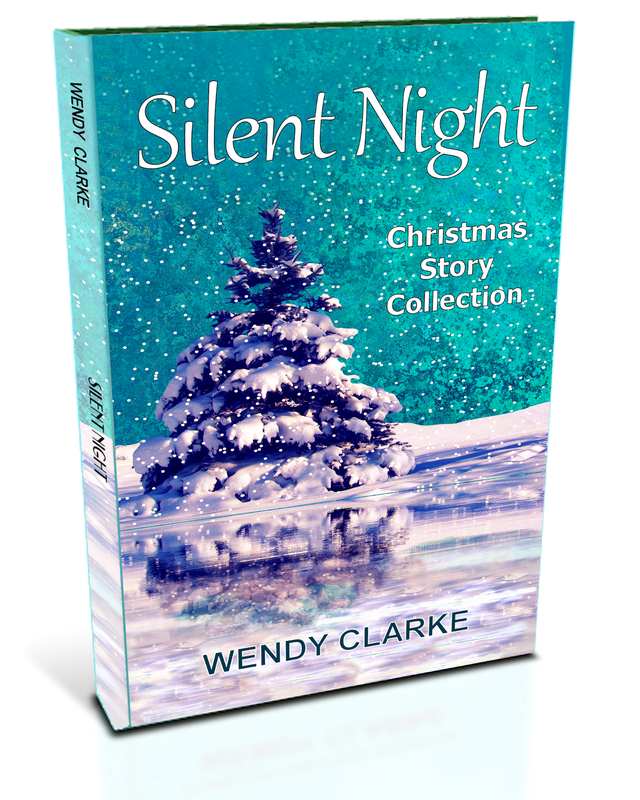 What about that Choc Lit and Wholestory Audiobooks Search for a Star competition? Can you tell my readers about the moment you heard you’d won? I was at work when the email dropped in. It's a good job that my office is private, because I didn't know whether to scream, cry or laugh. Every single emotion went through me and I immediately rang my husband, who'd literally just left the office for the day. He was the first person that I had to tell and the day after, he took me shopping and bought me a half carat diamond ring, by way of celebration. 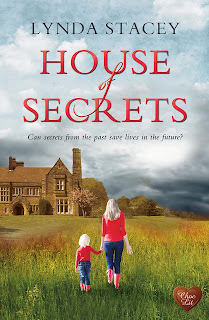 Your novel, House of Secrets, is set in a country house hotel. Is it based on a real hotel? Yes. 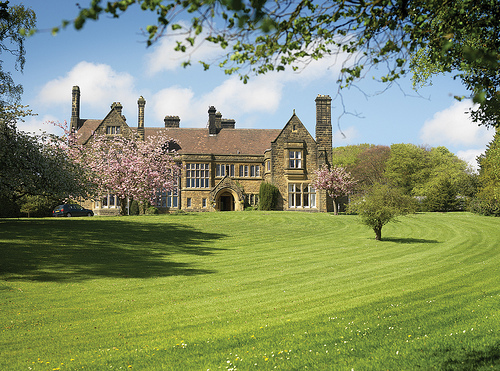 Wrea Head Hall is a real hotel, with real owners, staff and the most amazing rooms where you can stay. I'd happily and without reservation advise everyone to go and stay there. The food is amazing and because the hotel only has 22 rooms, you feel as though you've gone to your own country house for the weekend. The staff are fantastic and can't do enough for you. Give us an insight into your main character. What do they do that will make the reader want to go on the journey with them? Madeleine is a young single mother. She’s been widowed just prior to the birth of her daughter and has struggled to give Poppy the best start in life, and I honestly feel that a lot of women would relate to her. 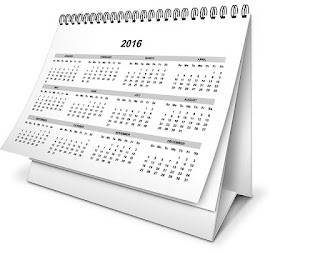 Did you meticulously plan your novel or are you a panster? I'm very much a panster. I know where I want to begin and I know where I need things to end. But other than that, the characters come to life and they do the talking for me. How much research did you have to do for it? I had to do a lot of research into WW2, into rationing and how the young men were called up. I also looked into the men who didn't get called up, the men who worked in the mines, bringing us fuel. I also looked into how women lived in 1942. Emily Ennis was the daughter of a rich man and even though she was living in 1942, her life was protected by hierarchy. She didn't do what most women of that era did and I purposely wrote her as being a little more Victorian, because of all this. Rejection. You know it's coming from most avenues, but nothing prepares you for the first one. It's awful, you hate your writing, you hate all the hours you've devoted to it and of course, you're never going to write again. The writing process is like being on a giant rollercoaster without a track. One minute you’re up, the next you’re down. It takes some doing, but… like all authors, I pick myself up and I start again. Any advice for someone starting to write their first novel? 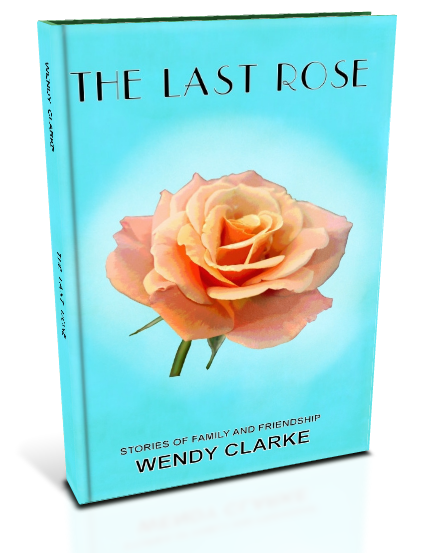 Her own life story, along with varied career choices, helps Lynda to create stories of romantic suspense, with challenging and unpredictable plots, along with (as in all romances) very happy endings. There can be few writers who haven't heard of 'The Emotion Thesaurus'. It was my bible when I first started writing in 2012, and I still keep it by me whenever I write a new story. 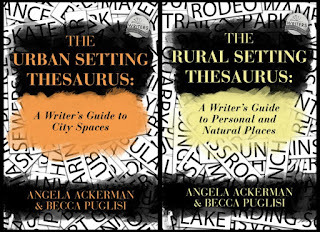 My guest today is Becca Puglisi, co-author of this thesaurus and its sequels and, with the recent publication of her setting thesauruses, I'm delighted she found time out of her busy schedule to have a chat with me. 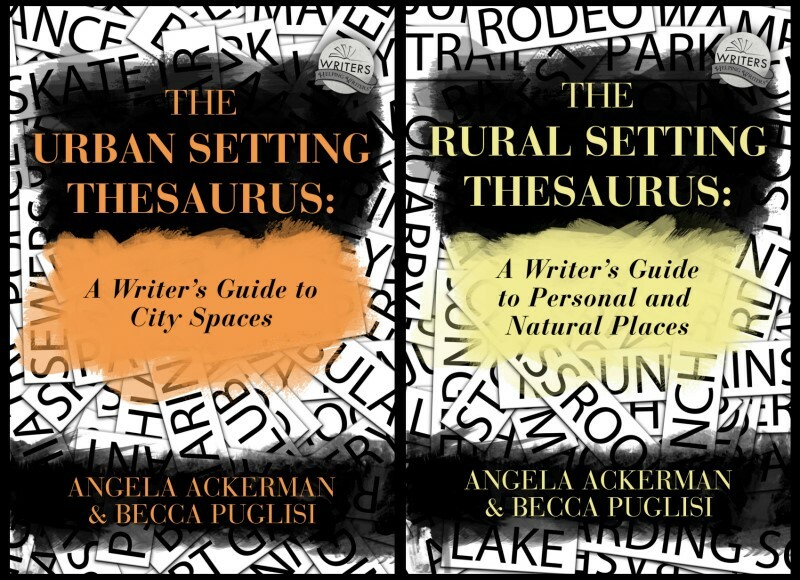 You’ve collaborated on several books with Angela Ackerman now. How long have you known each other? Angela and I met in 2004 when we both joined Critique Circle. We happened to find each other, fell in love with each others’ work, and immediately became critique partners. Four years later, we joined forces to start our blog (then called The Bookshelf Muse), and the rest is history. Who was it who came up with the idea for your first thesaurus, ‘The Emotion Thesaurus’? As with most of our efforts, we both played a part in the The Emotion Thesaurus’s success. While editing one day, I realized that my characters were constantly smiling and shuffling their feet, but I didn’t know how else to show what they were feeling. I needed more clues to show their emotions, so I began keeping lists of the cues associated with various feelings. When I brought the information to our critique group, we learned that every single person struggled with this. We all started working to flesh out the lists, but interest dwindled over time until Angela and I were the only die-hards left. When we began our blog and were trying to figure out what content would help readers and keep them coming back for more, Angela had the brilliant idea of highlighting one emotion each week. And The Emotion Thesaurus was born. How do you go about writing a book together? Does it ever lead to arguments? I can honestly say that Angela and I have never had an argument. Truly. We don’t always agree, but we’re both open-minded and respectful, and we recognize each others’ strengths. When there’s a strong difference of opinion, we tend to defer to whoever is more experienced in that area. When it comes to co-writing, we have a fairly simple process. Together, we figure out what information would be useful for writers and come up with a template. Then we split in half the text that needs to be written; Angela drafts one half and I do the other. When it comes time to edit, we trade content so I’m editing her work and she’s tidying up mine. Then we switch again. By this point, the work has become a combination of both of our styles and it’s difficult to tell who initially wrote what. Which, out of your thesaurus set, is your favourite? Was one harder to write than another? You know, I love The Emotion Thesaurus because it’s helped so many people. The number of authors who write to us and say that the light bulb came on for them after reading our book…it has a soft place in my heart for that reason. But my personal favourite is The Negative Trait Thesaurus. The information in the front matter about character wounds and the effects they have on personality was such an eye-opener for me. I feel like writing that book gave me a good handle on character arc, which had never been my strong suit. I believe the content in that book is a game-changer, and for that reason, it’s my favourite. As for difficulty, the character trait books were definitely the hardest to write because so much of the content was based in psychology. Neither of us being therapists, we had to do a lot of extra work on those—a ton of research, testing of our information to make sure it was correct, and vetting by experts in the field. The pressure to get everything right pushed us to work harder on those books than on any of the others. I’ve been following your fabulous blog, Writers Helping Writers, since 2012 when it was ‘The Bookshelf Muse’. What are you trying to achieve with this blog? Well, it started as a platform to build an audience for when we publish our own fiction one day. But the more writing advice and thesauruses we shared, the more we realized how much our content was helping others. And that really excited us. 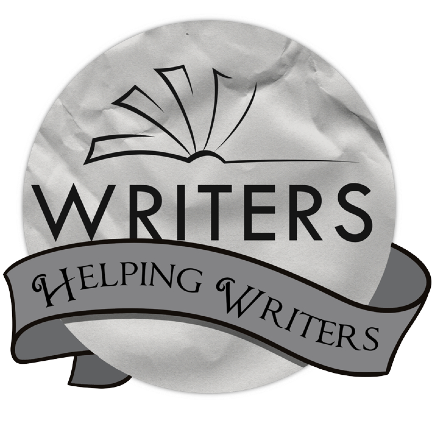 So we shifted gears and changed the name to better reflect what we wanted our blog to be: Writers Helping Writers. And that’s really our purpose—to share what we’ve learned with others. Can you tell my readers a bit about your new initiative, ‘One Stop for Writers’. 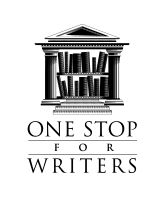 One Stop For Writers is an online resource that contains all of our thesaurus content, along with many other tools and references, in one convenient spot. We call it an online library because so much of what writers need can be found in this one place. The thesauruses are all cross-referenced and searchable. We have customizable worksheets to help with character building, scene setting, symbolism, and much more. We’ve also recently launched a story structure tool to help writers structure their stories in a way that will resonate with readers. We love this site because so much of what writers need is in one location, so it saves time and helps them be more efficient and productive. You and Angela are busy ladies. Do you have any time for your own fiction? Every six months or so, Angela and I will talk about our fiction—mostly in a nostalgic and wistful tone, lol. Fiction writing is our passion; it’s how we got started in this business, after all. But our nonfiction books are doing so well, and writing them is always a learning experience for both of us. It’s rewarding on a number of levels, and we’re aware of how fortunate we are to have had a measure of success in this field. So we want to make the most of it while we can. If we could do both, we would. For now, our focus is on nonfiction, knowing that we’ll have time to get back to our fiction eventually. What do you think is the biggest mistake new writers make? Hmmm. I’d have to say that a lot of new writers fall into the trap of thinking that they’re ready to publish before they truly are. I’ve benefited greatly from the rise of self-publishing and have a lot of good to say about it, but one thing we lost when the gatekeepers of traditional publishing became optional rather than required was a sense of accountability. I would advise all new writers to get into a critique group or find a partner. Reliable critiquers committed to offering honest feedback can give new writers a better sense of when they’re ready to take that big step. What next for Becca and Angela? Any more thesauruses? Well, after the launch of our Setting Thesarus books last month, we’re taking it easy this summer. But in the fall, we hope to get started on our next publication: The Emotional Wounds Thesaurus. This is the one we’re currently highlighting at the blog and people have been clamouring for it to be turned into a book, so that will be our next big project. 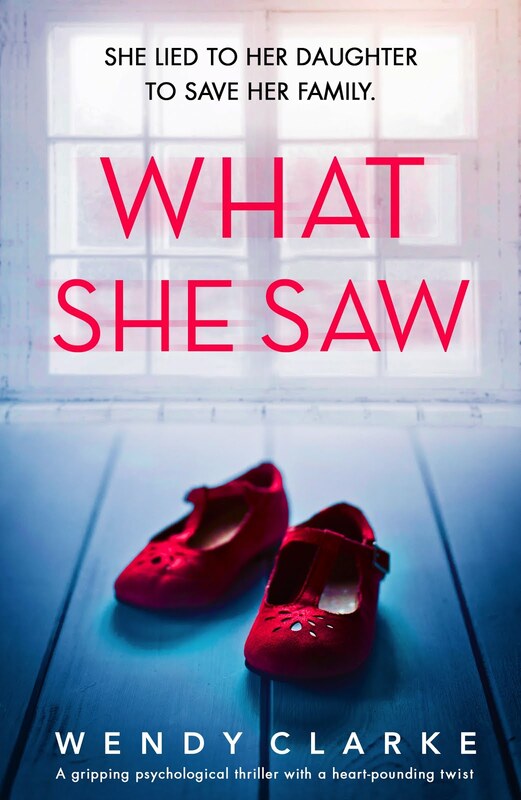 You can read Becca's previous guest blog on 'Show not Tell' here. So That's What You've Been Doing! I notice you didn't write a blog post on Sunday - not giving up are you? These are just some of the things that have been said to me in the last couple of weeks. Some by writers and some by non-writers. So I thought I'd make this blog post a bit of a catch up. Actually it's going very well. As many of you know, every month I get together with writer friend, (and hard task master) Tracy Fells, for teacakes and goal setting. Last month's goal was to write a chapter by chapter summary of my novel, write and sub two short stories and (as a bonus) make a start on the new draft of my novel for my agent, Eve White. I'm happy to say I worked very hard, completing the first two goals and also finishing the novel edits ready for their final read through. Getting a novel fit for publication is a slow old progress. Agents don't want to send anything out until they're 100% happy with it. If it gives the novel a better chance, then I don't care how many drafts I have to do (within reason!). I'm keeping my fingers crossed that with this draft I shall be a little closer to my goal. It won't be for a long while yet! Still writing the short stories? Yes! I still write two stories a month (mainly for The People's Friend) and am still getting regular sales. I even sold two to Take a Break Fiction Feast that I'd forgotten I'd sent (one of which was my first ever sci-fi). For anyone who's interested in reading my stories, I have a story in the latest Fiction Feast, two stories in the new People's Friend Special (out Wednesday) and one in the latest People's Friend weekly (also out on Wednesday). What? You didn't go to the RNA Conference! Not this year, no. It was in Lancaster and, as I'm not a great traveller, I felt it was a bit far. Also, I wanted to devote every bit of time to my writing. It's at an important stage and I didn't want any distractions. I had a great time last year though. It's hard to believe that when I went I had only written a quarter of my novel and having an agent was still just a dream. As well as having great talks and workshops, the conference gave me faith in my work in progress - as my opening chapter was favourably received by two editors from publishing houses. It made me want to rush home and finish it. If you are a new writer, I would definitely recommend going - if only for the one-to-ones. Nooo! But I might be cutting down just a teensy bit. At the moment, my novel has to take priority over everything else but I will still be blogging and have some great guest blogs lined up for you. 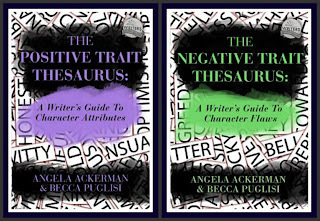 In fact, next week, I am delighted to welcome back the fabulous Becca Puglisi from the website Writers Helping Writers. 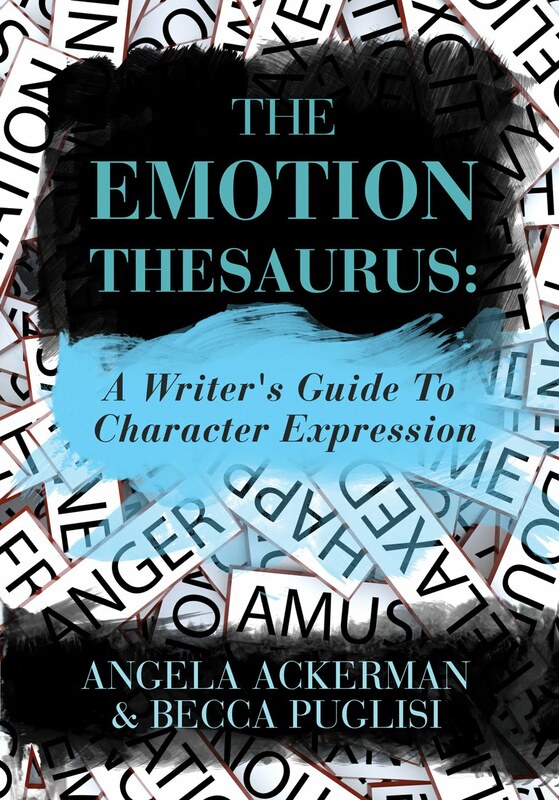 What writer hasn't heard of The Emotion Thesaurus? 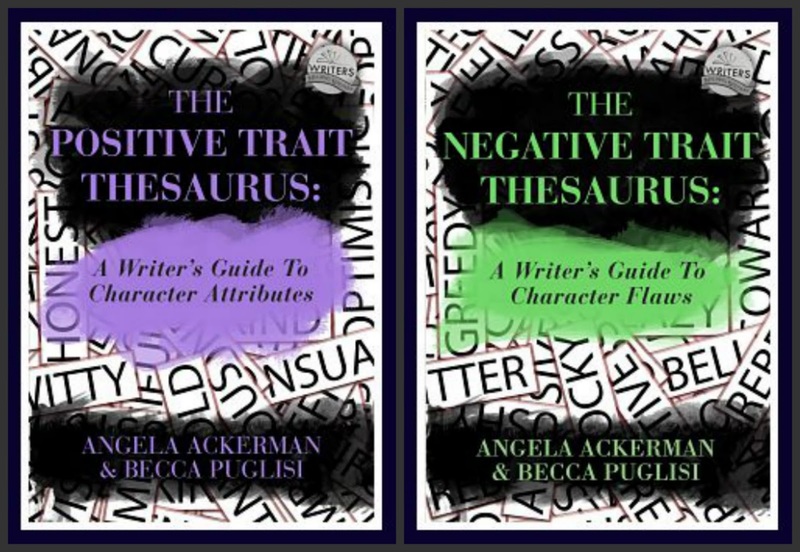 I'm very lucky as Becca is a very busy lady, but she's taken time out to answer questions about her, and her co-writer Angela Ackerman's, new 'Setting' thesauruses. Don't miss it! So, for those who asked, my writing is going very well. I have new goals for this month and I've already made a good start so hopefully I'll have positive things to report to Tracy in August. There comes that moment in every blogger's life when they think, Why have I never invited this person onto my blog as a guest? I had that moment a few week's ago with womag writer and blogger, Helen Yendall. 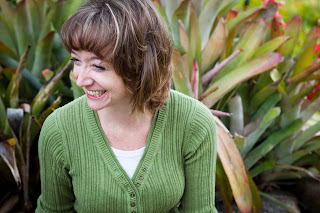 Helen's own blog, Blog About Writing, is one of the most informative and entertaining I've read and I've been following it since 2012. We also share a love of writing short stories and have shared the pages of magazines, so how has Helen slipped through the net? The answer is... I've no idea! Anyway, I'm delighted that Helen agreed to be interviewed for Wendy's Writing Now and I know you'll find her answers as interesting as I did. Weclome, Helen! Can you tell my readers how long you’ve been writing for magazines and which was the first magazine you sold to. Oh, goodness, this is embarrassing because when I admit this, your readers are going to think ‘what the heck has she been doing in all that time?’ but I actually had my first short story acceptance (a competition win) in Bella magazine over twenty years ago. Bella, sadly, doesn’t publish short stories any more but back in those days, it was one of many magazines that accepted fiction. I really wish now that I’d applied myself much more and perhaps I’d have had many more acceptances but I was a bit of a dabbler at the writing game then. We hear a lot about the importance of finding your own ‘voice’. Do you feel you have a particular writing style? When my friends read my stories, they often say that they can ‘hear’ me speaking to them, so I guess my writing style must be similar to the way I speak. I suppose that’s not surprising but it just goes to show that ‘voice’ isn’t something you can fake: it’s just ‘you’, at the end of the day. 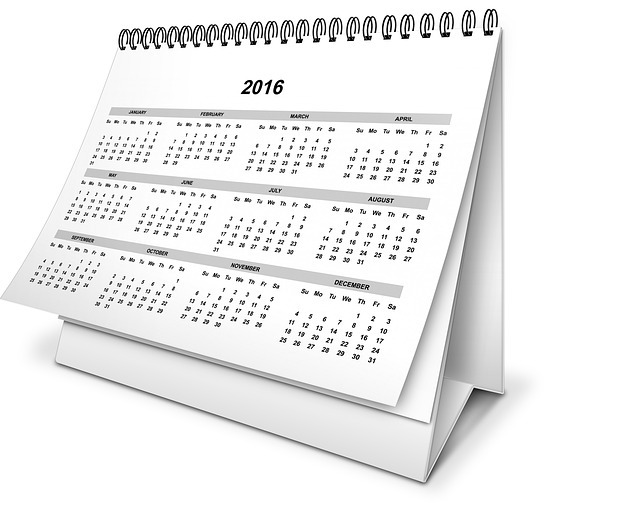 Have you noticed many changes since you started writing for magazines? Of course, there are fewer and fewer of them that accept fiction and that’s the biggest change. They all seem to be full of celebrity gossip now. It’s such a shame that magazines like The Lady don’t even feature fiction any more. You recently had your first serial, the Air is Sweet published in The People’s Friend magazine. Can you tell us a little about how this came about? I’d had an idea for a novel set in a chocolate factory for a while (ever since I visited the museum at Cadbury World) and I’d even made a (small!) start and written the first chapter. So when The People’s Friend announced their serial-writing competition last year, it seemed the ideal opportunity to do something with my manuscript. I polished up the first 6000 words, added another character and a couple of cliff hangers and submitted that, along with a synopsis, to the competition (all very last minute!). I was amazed and delighted to get a call from the editor Shirley Blair, in the autumn, to tell me I was the winner. And part of my prize (once I’d written the next two instalments), was to see the serial published in the magazine. Did you find the serial harder to write than a short story? It was harder in some ways because it took a lot longer, of course (it was 16000 words in total and some of my short stories are under 1000 words). Also, as the serial is set in 1905, I had to do a lot of research (mind you, although time-consuming, that was actually a lot of fun). But I enjoyed the freedom of being able to write from three different points of view (in a short story, of course, you usually write from just one point of view) and I had so many different ideas for the plot and the characters that I could have written a lot more than I did. The characters came alive for me much more than they do in a short story. In fact, one of the hardest things about writing the serial, was trying to keep to the word count. I could easily have made it 5 or 6 instalments long. I’ve been following your great blog, Blog About Writing, since I started writing in 2012 and like me, you post once a week. Do you find it hard to think of things to write? That’s lovely to hear, Wendy. I actually used to blog more than once a week but I just don’t have time to post more often now and yes, you’re right, it does get harder to think of things to write about. I always try to bear in mind that the name of my blog is ‘blog about writing’ and that’s the reason, I assume, that people read it, so even when I’m rabbiting on about tennis or my dog or the other things in my life, I always try to put in something - whether it’s a book recommendation or a link to a competition – that’s relevant to writing. I’ve written over 500 posts now and yes, it’s definitely harder to blog these days! From time to time you hold competitions on your blog. Can you tell my readers about your latest one, please? Funny you should mention that, Wendy, yes I do have a writing competition on my blog and it’s free to enter and open to all. The closing date is 12th July, so there’s still time to get your entry in! I picked some words at random and they need to be included in a 100 word story (or poem). I’ve run a few competitions along these lines now and I never cease to be amazed by the creations that I’m sent! You’ve already published one collection of short stories, Paper Chase, and your latest collection, The Sunshine Board, is out now. Who do you think these stories might appeal to? Most of the stories have been published before in Woman’s Weekly magazine, so I suppose if you like those kind of stories, or are interested in reading some for ‘research purposes’, then the collection might appeal to you. But regardless of where the stories have come from (and a couple are competition winners rather than womag stories), I really hope that it’s a satisfying read for summer (hence the bright yellow cover!). 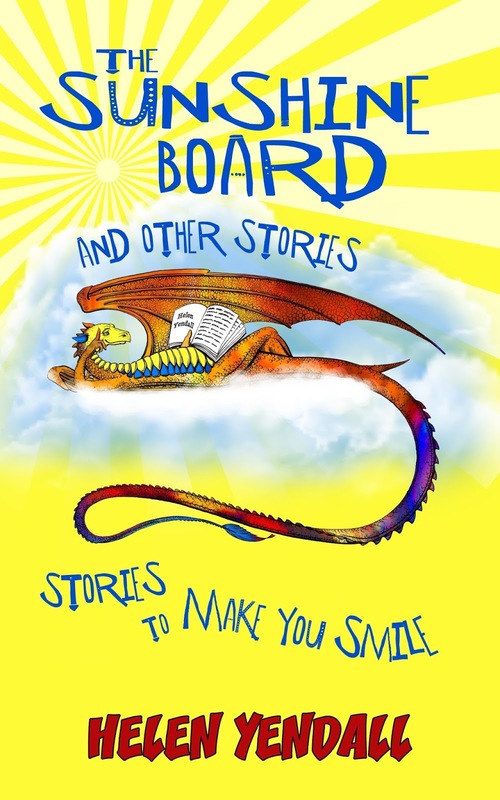 There’s nothing scary or depressing in the stories – in fact, there’s a touch of humour (so I’m told) in some of them – so the collection would make a nice holiday read, whether you’re on the beach or having a ‘staycation’ in your back garden. Finally, what next for Helen Yendall? Do you have any plans to write a novel or are you happy to stick with the short stories? Good question! I must admit, I’ve got a taste for writing something longer, since I finished the serial. Whether that will be another serial or a novel, remains to be seen. I have got an idea but I just need to test it out first - do a bit of research (it’s another historical one) and see if it’s got ‘legs’! (Thanks for reminding me – I need to get on with it!). 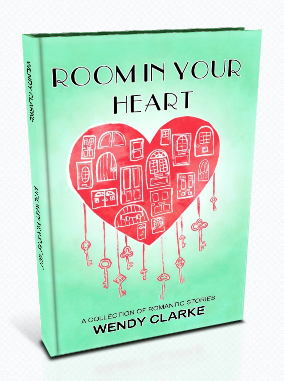 Thank you so much for having me as a guest on your blog, Wendy. I’ve enjoyed following your progress from novice short story writer to People’s Friend favourite, then seeing you joining the RNA, completing your first novel and getting an agent! In such a short space of time. It’s not only impressive but inspiring too. Keep up the good work! 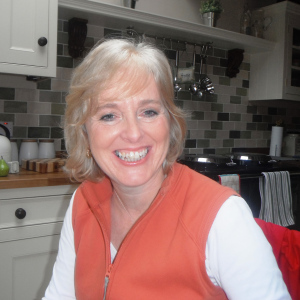 Helen Yendall lives in the Cotswolds and works part-time for a children’s charity. Her small claim to fame is that she was once Poet Laureate for Warwick but her first love is fiction. She likes the way it can help make sense of the world and that, as a writer, she can give good people the happy ending they deserve.